An integrated transport system is one that is organised so that various elements function cooperatively and so promote maximum convenience, accessibility and connectivity for people using more than one transport option (e.g. train and bike). If there is harmony and integration between all modes of transport, it will be easier for people to get around Galway. An integrated transport system allows for: more use of public transport; reduction of traffic congestion and emissions; reduced travel time and lower costs for passengers; and better mobility for both locals and tourists. Good collaboration between all of the different transport companies and all authorities would be essential to create a harmonious overall system that would allow passengers easy interchange between services and shorter overall journey times across the city and county. – Integrated ticketing and fare structure across all transport services (e.g. across all bus companies and the train service). For example, this would mean just one ticket would be needed if a passenger was travelling from Athenry to Galway and to Parkmore by train and bus. Electronic ‘smart card’ ticketing systems such as the Leap Card in Ireland and the Oyster card in London are well known examples of integrated ticketing that allows easy transfer between services. Integrated ticketing should also be available to buy online. – Integrated schedules (timetables) and network connections. Different transport companies would work together so that timetables and networks are harmonised and one overall transport network would be created. A more coordinated system would mean less time waiting between modes and services. So, in the case of a person travelling from Athenry to Parkmore, they would not have to wait long between arriving in Galway by train and getting the bus to Parkmore. – Accurate travel information integrating all transport modes (printed timetables, posters, real time electronic displays, etc.). Up to date information should also be accessible by passengers through personal mobile devices or text messaging. 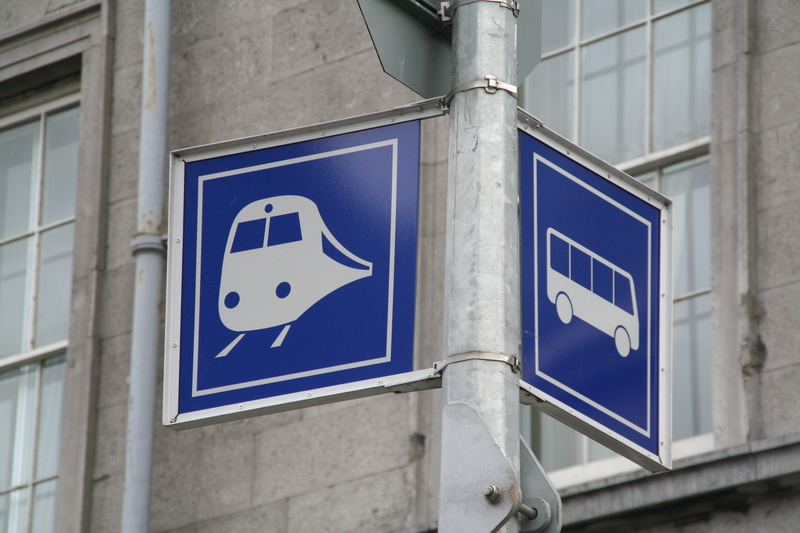 – A comprehensive online journey planner tool integrating all transport modes similar to Traveline in the UK should be established for Ireland. – New inter-model transport hubs could be established around the city. These would be new transport interchange hubs where passengers could wait in comfort for transport connections. See ‘Inter-model Transport Hubs’ solution for more information. – Bicycle parking facilities and Galway Bike Scheme docking stations could be installed at stations and bus stops to encourage cycling. – Good co-ordination across all government agencies so that integrated transport is incorporated into all relevant policies and into planning.